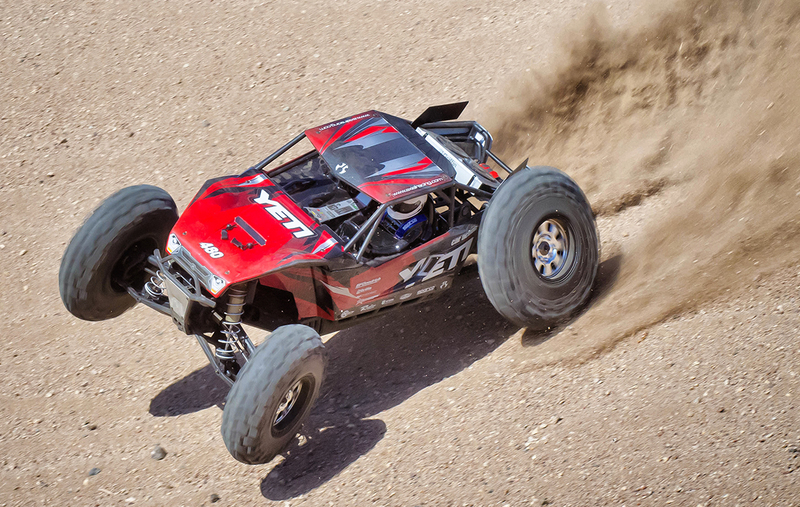 The Axial Yeti was introduced only a few months ago and we were impressed with the new rock racer platform. 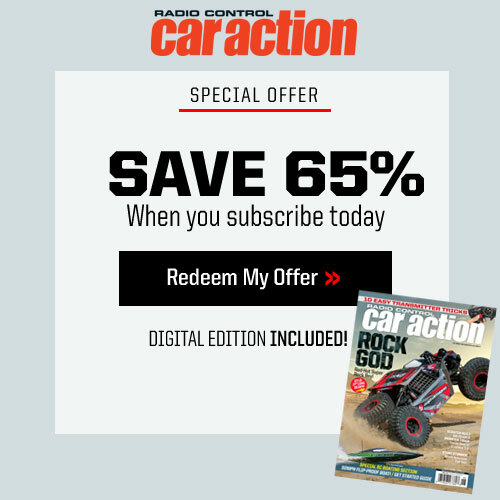 Normally, when a completely new vehicle like the Yeti is released we don’t see another new release from the company for a while; but that’s not the case this time. 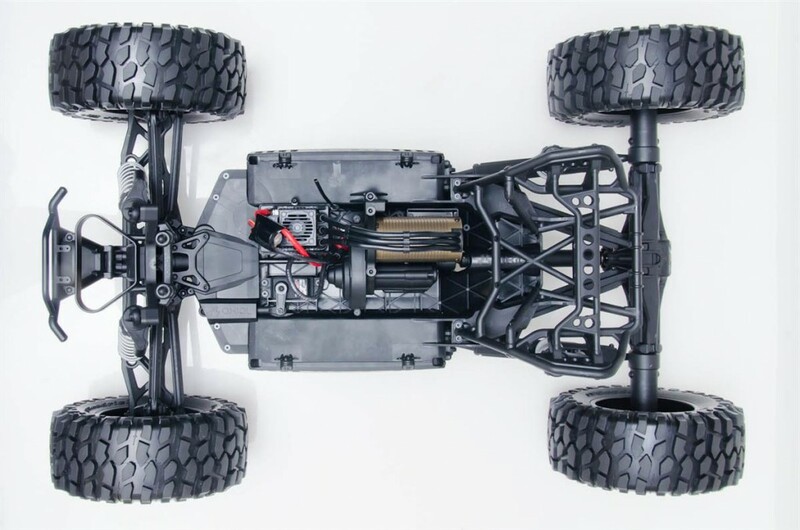 Axial surprised all of us by introducing a new vehicle only months after the release of the Yeti and this one is completely new and much larger than anything ever made by Axial. 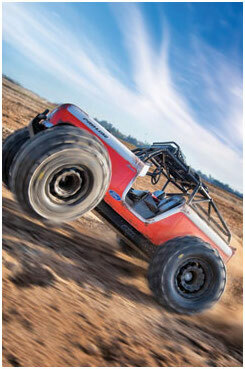 It’s called the Yeti XL Monster Buggy and according to Axial it’s a 1/8-scale vehicle. When you size it up, it looks more like a 1/6-scale vehicle when compared to other 1/8-scale vehicles that are on the market today. Like the Yeti, the Yeti XL features an independent front suspension, 4-link solid axle rear suspension, metal gear transmission with slipper clutch but that’s where the similarities end. 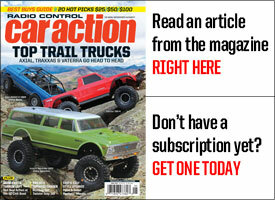 To make that happen at a much larger size all new parts had to be designed and a new truck had to be built. Let’s take a look at the parts that make the Yeti XL so special. How big is the Yeti XL? 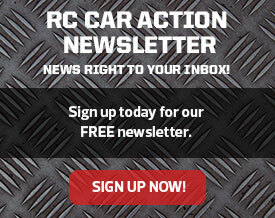 Axial says that it’s 1/8-scale but when compared to other cars in the RC world it’s more like 1/6-scale. 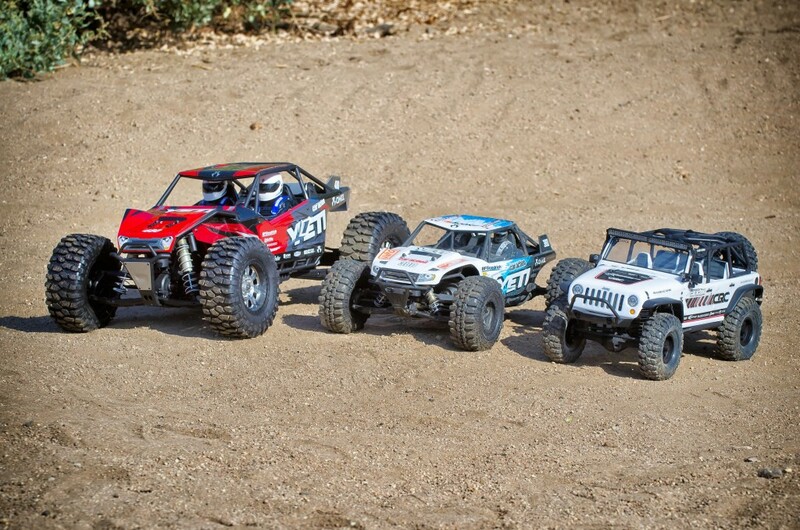 Here the Yeti XL (left) is sitting next to the 1/10-scale Yeti (middle) and a 1/10-scale SCX10 (right). The Yeti is slightly larger than the SCX10 and the Yeti XL is considerably larger than the Yeti. The chassis layout on the Yeti XL is completely new and unlike the Yeti there’s plenty of room for all of the electronics; they are mounted close to the buggy’s center line. The tubular structure to the rear is pretty trick and looks like what you would find on a full-size rock racer. 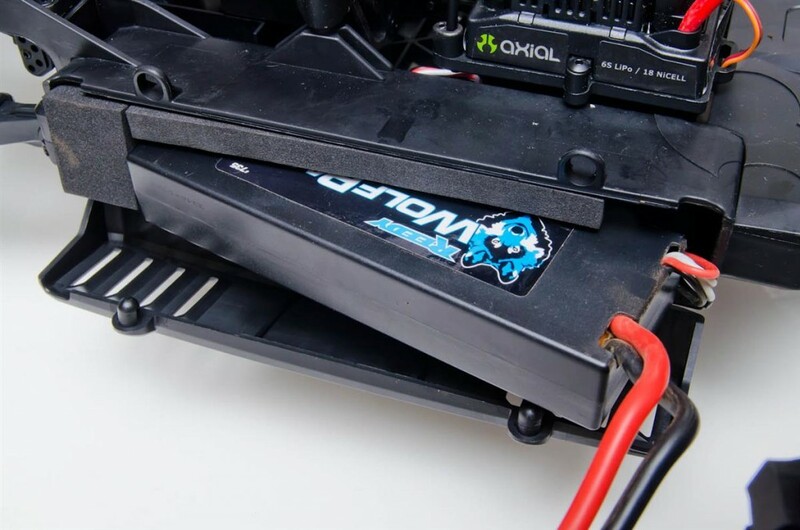 A pair of compartments on the chassis’ sides hold two batteries, and the Yeti XL can handle 6S LiPo power. The bottom of the Yeti XL chassis is not as smooth as expected, and the battery door hinges are exposed to damage. Only time will tell if the sections that protrude will hold up to the abuse that the ground and rocks will dish out on this buggy. This shot also shows off the thick rear trailing arms and the aluminum front skid plate that supports the front suspension. 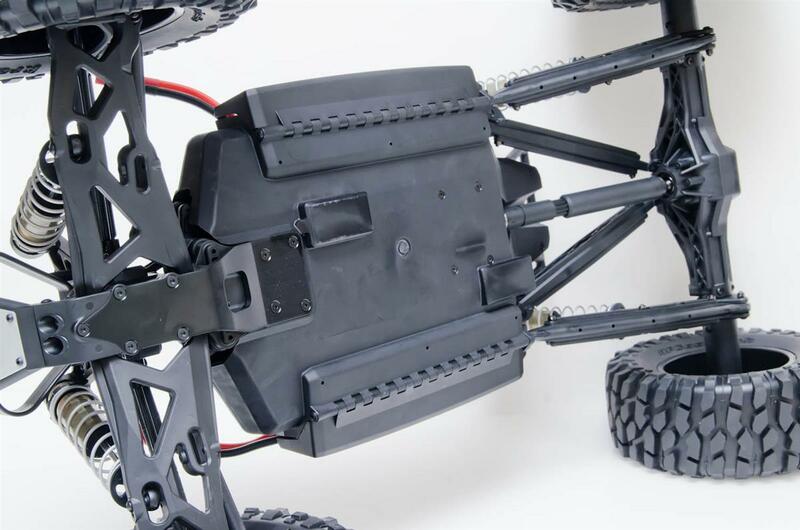 The batteries are housed in compartments that have been molded into the left and right side of the chassis. Two body clips keep the doors closed and the boxes are designed to hold 2 and 3S battery packs. There’s plenty of room for you to shift the battery weight towards the front or rear of the buggy and vents on the battery doors allow cool air to enter and hot air to escape. 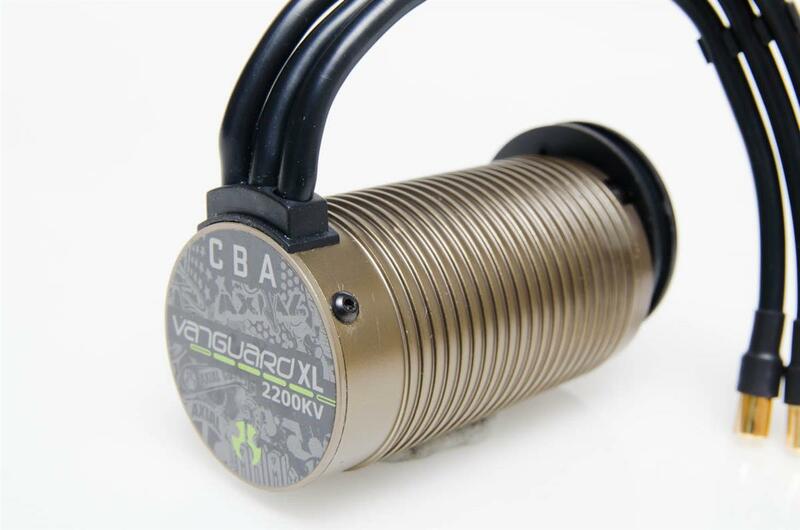 Very large 20mm diameter shocks damp the ride and they feature threaded aluminum bodies for easy ride height adjustment. Sorry, the external reservoirs are for style only and are not functional. 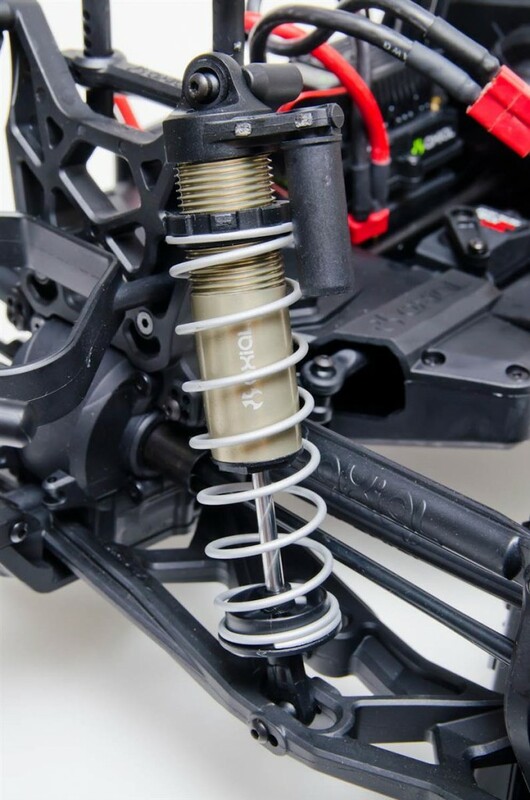 Multiple mounting positions are available on the shock tower and suspension arms for the front shocks. The rear shocks only get one mounting position. The rear axle is an impressive piece. Ribbing was molded into the housing to increase strength and the straight tubes on each side screw on just like the axles used on the Yeti and Wraith. Does this mean that there may be a steerable axle of this size in the near future? I’m willing to bet that there will be a monster-sized Wraith and or a solid axle monster truck with these axles on it coming soon. 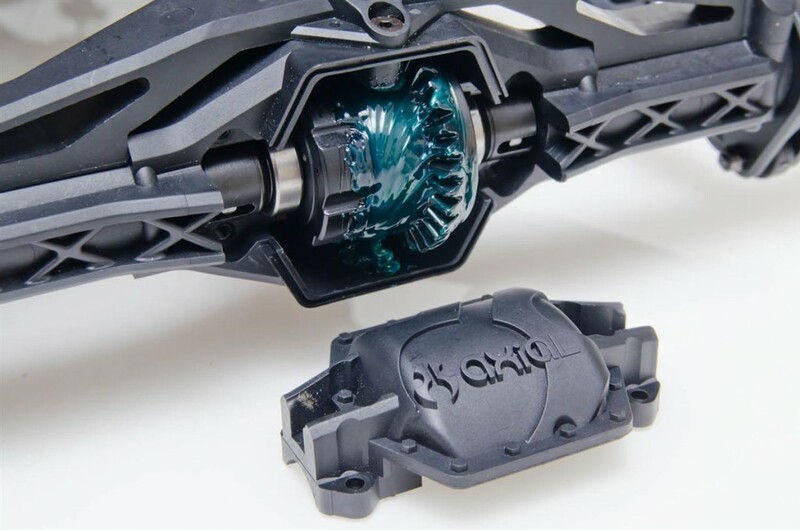 A slick gear cover is used on the rear axle to gain access to the 1/8-scale bevel gear rear diff for gear inspection and maintenance. The diff features steel CNC cut ring and pinion gears and they are sealed units which means that you can tune them with silicone fluid. They come stock with 20,000 wt. 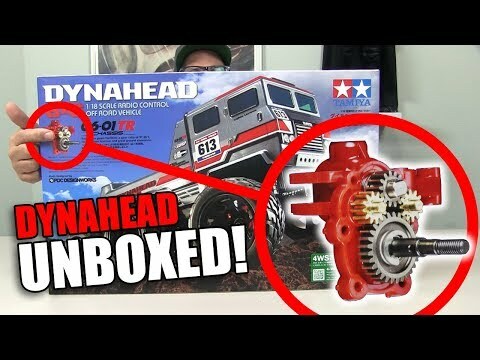 as you can see, Axial didn’t spare any grease. The Yeti’s speed control is sourced from Castle Creations and waterproof, so it should be a stout unit. Deans plugs are standard. A fan keeps it cool and large 6mm connectors are used to connect it to the motor. 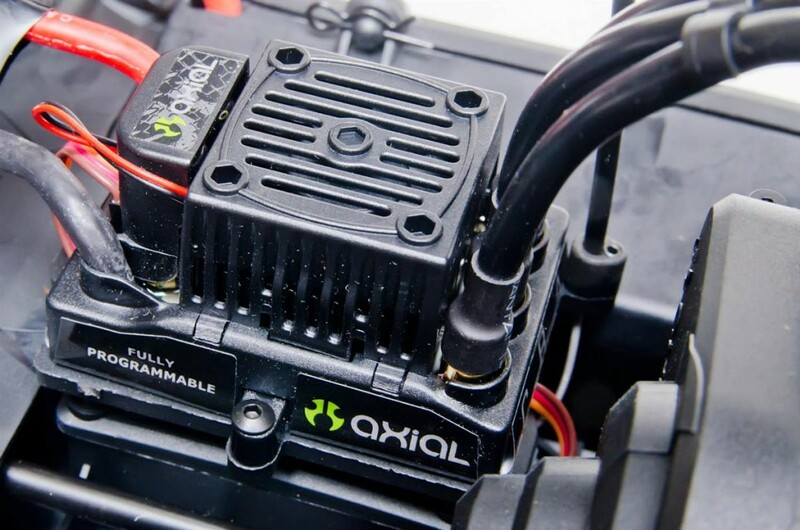 A 1/8-scale 22ooKv brushless motor provides a lot of RPM and torque to the Yeti XL. It’s ribbed case adds surface area and therefore enhances its cooling ability. This is a big buggy with a lot of weight and power, so I’m are surprised to see a standard-size servo being used to control the steering. The steering servo produces 151 oz. in. or torque and time will tell if that is enough to get the job done. 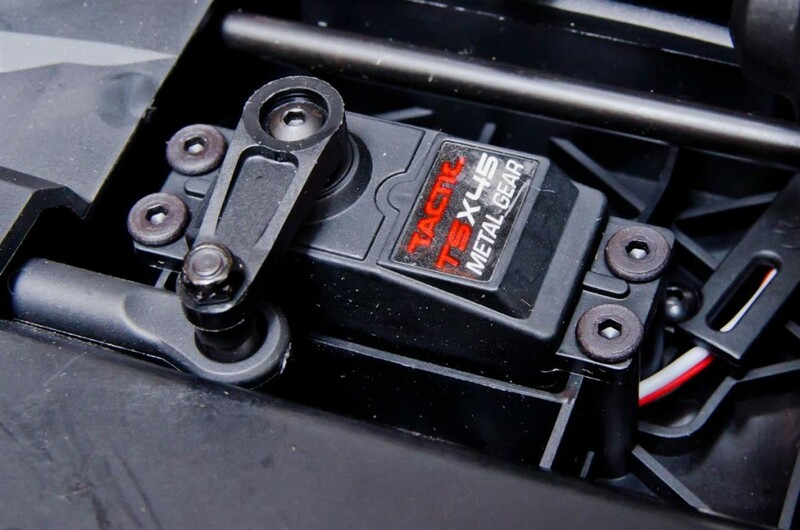 With 6S power on tap I’m happy to see that the Yeti XL comes with a metal spur gear and it also includes an adjustable slipper clutch. 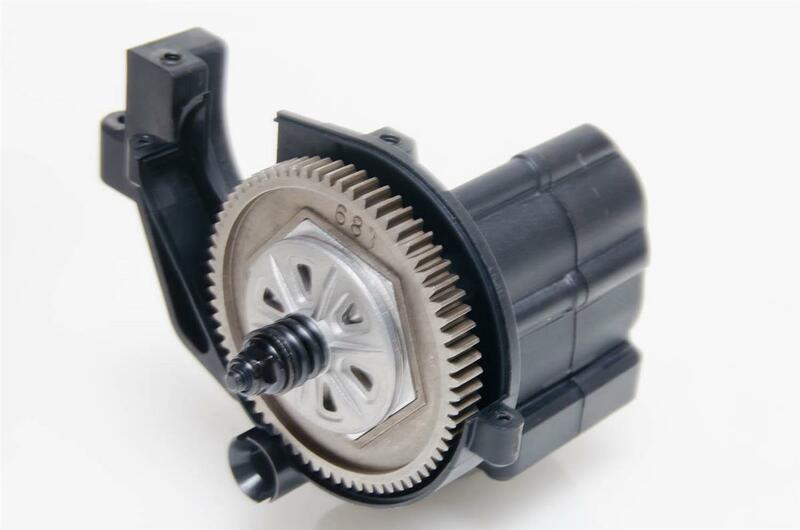 The transmission housing is packed full of metal gears and ball bearings, so it should be long lasting. 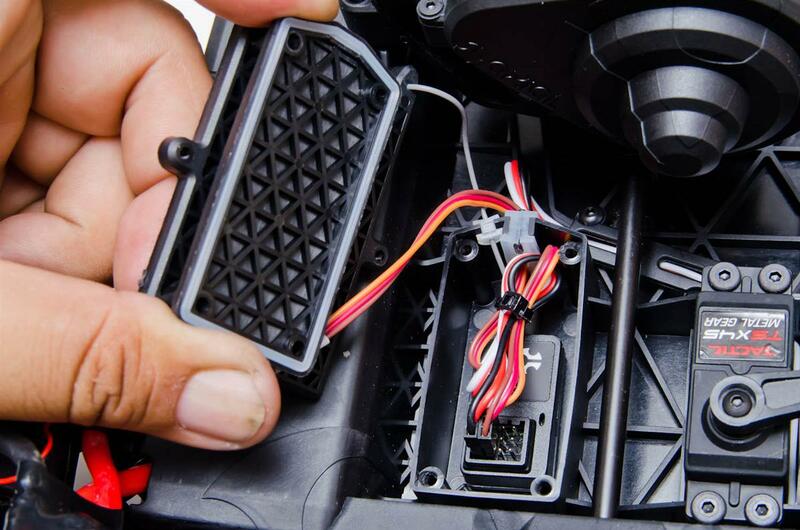 Unlike the 1/10 Yeti, the Yeti XL’s receiver is accessed from the top side of the chassis and a few silicone seals help keep out dirt, debris and water. The body tilts up to give you access to the battery compartment and components inside the chassis. Body mounts and body clips are used to secure the front end but the rear uses screws to attach it to the pivot so the body isn’t as easy to removed as the one on the Yeti. I’m still testing the Yeti XL, but I do have a good handle on how it runs based on the driving I did for its photo shoot. 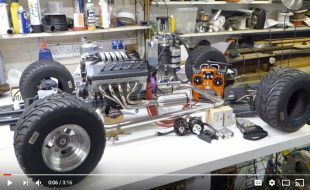 Putting the 3S LiPo packs in the buggy was a bit of a hassle; the body kept falling down as I struggled to push the battery door closed and get the body clip in to hold it in place. There is some ribbing to strengthen the body clip area and the hole for the body clip is very close to it. The side of the battery pack and wires were pushing on the battery door once it was closed so it required some strength to compress all that and get the door tight to the chassis so I could get the clip in. After a pop from the second Deans connector the buggy was plugged in and ready to go. I barely touched the throttle and the Yeti XL’s chassis twisted causing the right side front tire to come off the ground and immediately diff out causing the tire to turn into a pizza cutter. 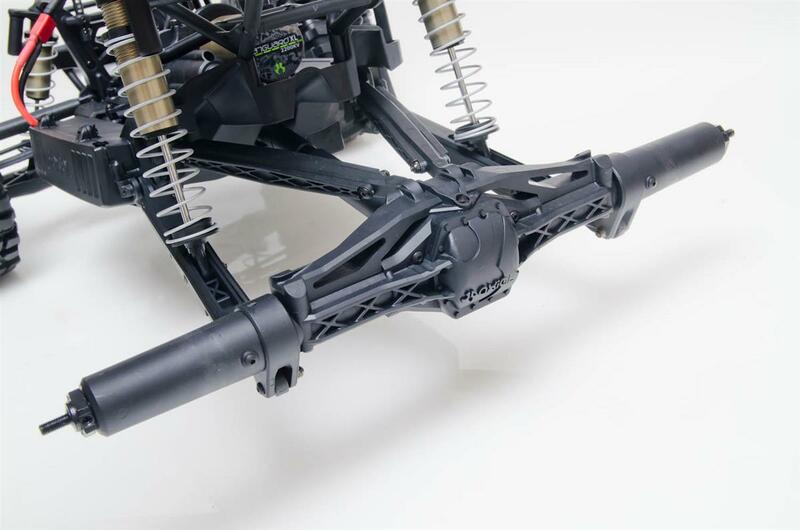 After seeing that I was surprised that the Yeti XL doesn’t come with a rear sway bar to help tone the chassis twist down. 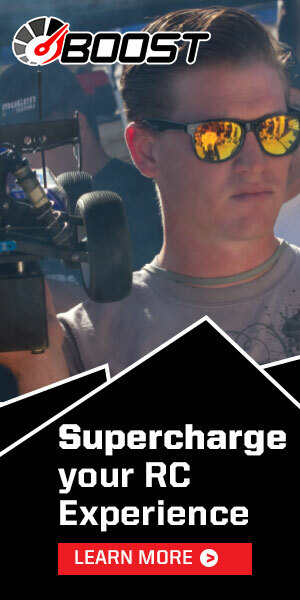 I would also like to see front and rear spools standard from the factory to eliminate the diffing out issue. Thicker oil may help, and I’ll experiment with it, but based on my experience with 6S power it felt like spools are a must-have. 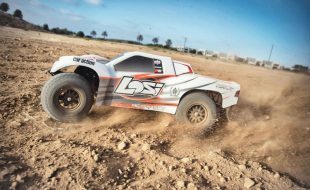 If you ease on the throttle the chassis twist isn’t so bad and the buggy is a little more controllable and fun–I bet 4S is the sweet spot for the Yeti XL. Clearing large jumps was easy thanks to all the power on tap. 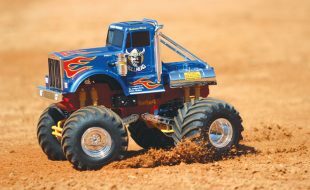 I slowly drove up to the big dirt piles in our photo shoot area and with a quick pull of the throttle the Yeti XL easily launched into the sky and that same power made in-air adjustments very easy. The shocks and suspension did a great job of soaking up the jumps and smaller bumps in the area but when driving over a short whoop section the rear end bounced around making the buggy a bit of a handful in this area. 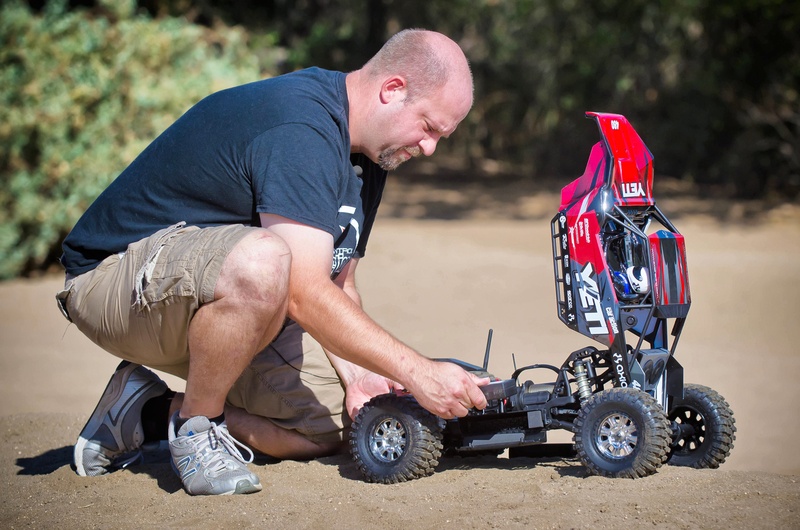 I’m working on the review of the Yeti XL Monster Buggy and will have more performance notes soon. 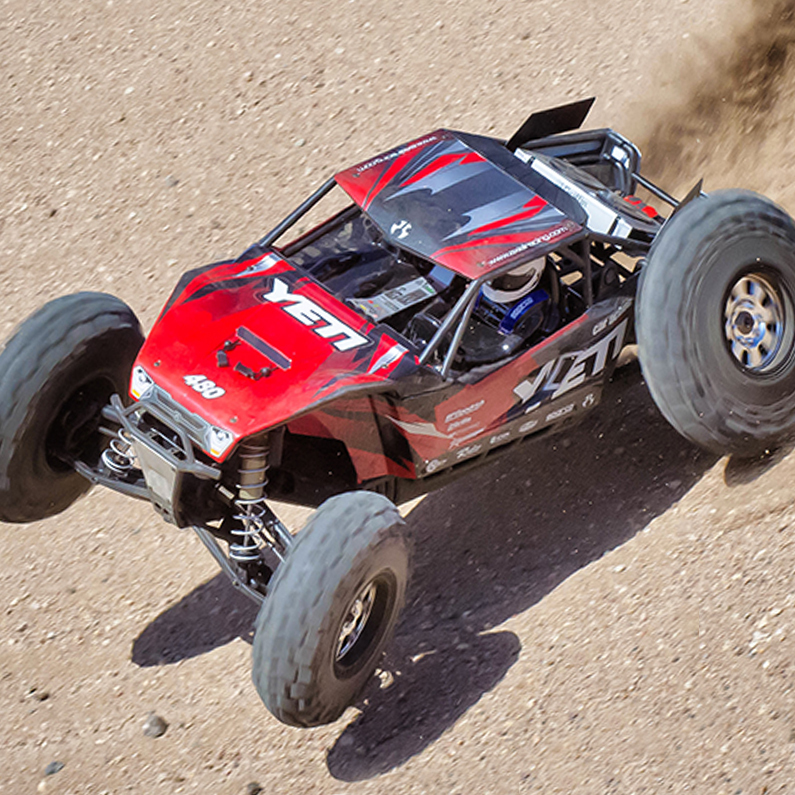 My next driving session will be on 4S which should make the Yeti XL more controllable and therefore more fun to drive. Stay tuned! This thing is a monster…. 6S wow! 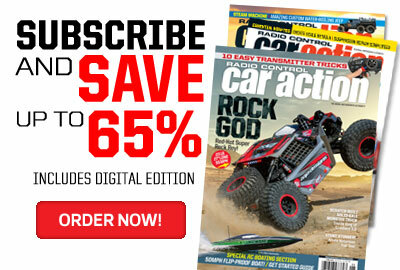 6S is overkill – it might work well with the 2 speed trans and slightly lower gearing.